Follow-up after market close for an exciting trading day on KLCI & FKLI. Both indices closed low in heavily oversold condition. I'll expect some sort of technical rebound, especially on FKLI (which closed at 11pts discount to cash market), before we see any further drop from here. Crucial support lies on the next fibo level, which shall also define whether the previous rally form 1,590 low of late Nov'12 is still valid. 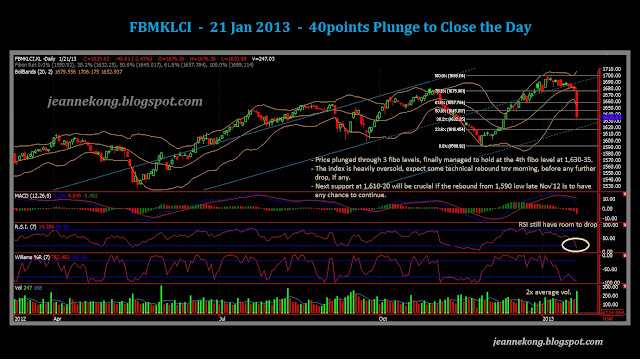 For KLCI, watch for levels of 1,610-20 as crucial support for any chance of sustaining the rally from 1,590 low. 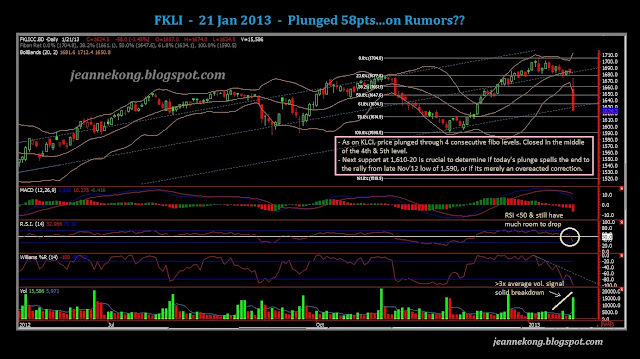 FKLI may have higher chances of seeing a technical rebound at tomorrow's open, given the 11pts discount to cash. Crucial support to watch is around 1,615-25 region. FCPO saw lackluster trading today as US markets are closed for Martin Luther King Jr.'s Day. Price moved in tight range, closed slightly higher at 2,420,but still staying below the daily BB mid-band. My view is largely the same as on Friday (Jan 18). Sticking with my slight bearish bias, as long as price stays below the mid-band. 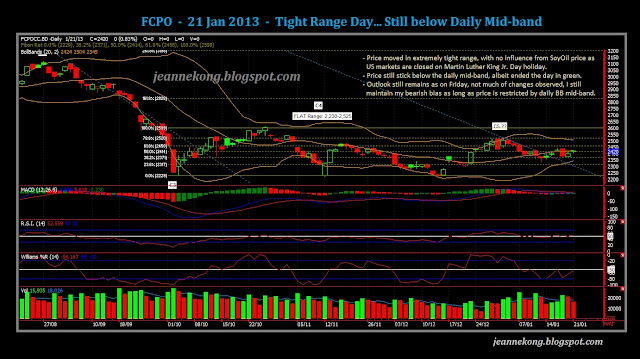 Check out my Friday (Jan 18) CPO analysis. 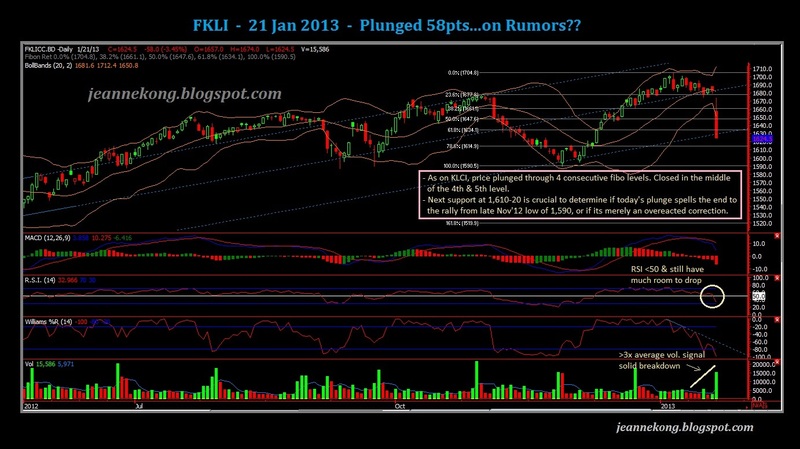 Let's see if CPO brings some excitement tomorrow as in our FKLI & KLCI today. FCPO - Tight range day, US market closed for MLK Jr.'s Day.